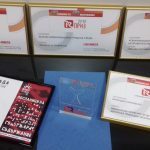 PR agency Intelday Solutions, exclusive partner of PROI for Bulgaria, won four awards in the 18th edition of the annual awards of the Bulgarian Public Relations Association. 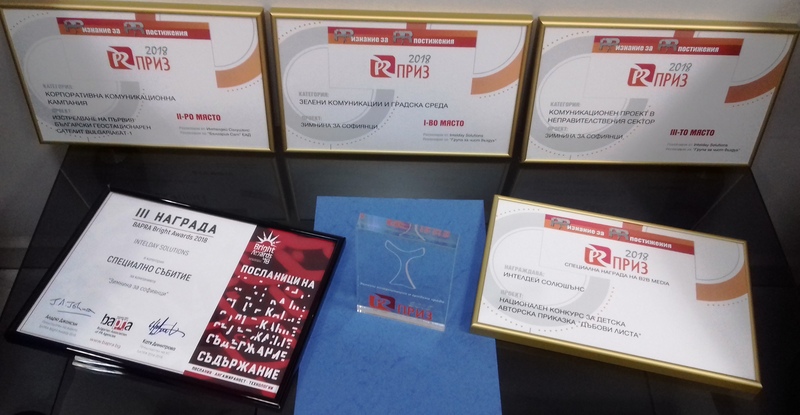 The winners were announced at official ceremony on May 22, 2018. 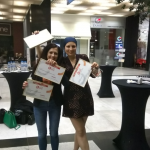 The pro bono project Zimnina za sofiantsi (winter supplies for the people of Sofia) implemented for Air Quality Group (an unification of several non-governmental organizations and lawyers) was the winner in the Green Communications and Urban Environment category and took the third place in the Communication Project in the Non-government Sector category. The communication campaign attracted the attention of media, institutions and the society to the problem of the air quality in Sofia, appealing for timely and adequate measures to address it. 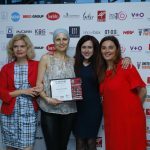 Intelday Solutions also won the prestigious second place in the Corporate communication campaign category for the project First Bulgarian Geostationary Communications Satellite BulgariaSat-1 Launch, realized for the only satellite operator in Bulgaria and country’s innovator in space industry Bulgaria Sat, affiliate of Bulsatcom. 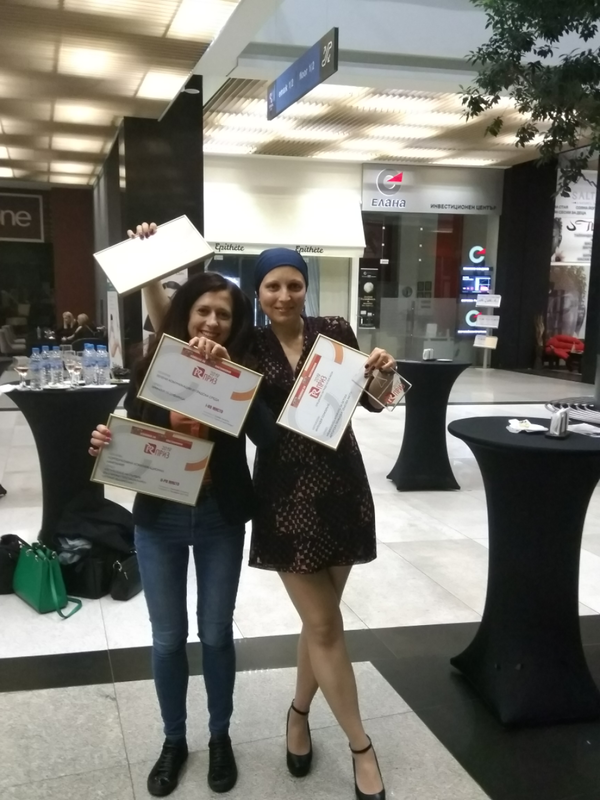 The project Competition for Best Fairy Tales Writen by Children implemented by Intelday Solutions for the publisher Dabovi lista, specialized in children’s fiction, got the special award of B2B MEDIA. The final stage of the project was the special compilation book From Children to Children, published at the end of 2017. It gathers the best 25 fairy tales and 36 illustrations created by Bulgarian. 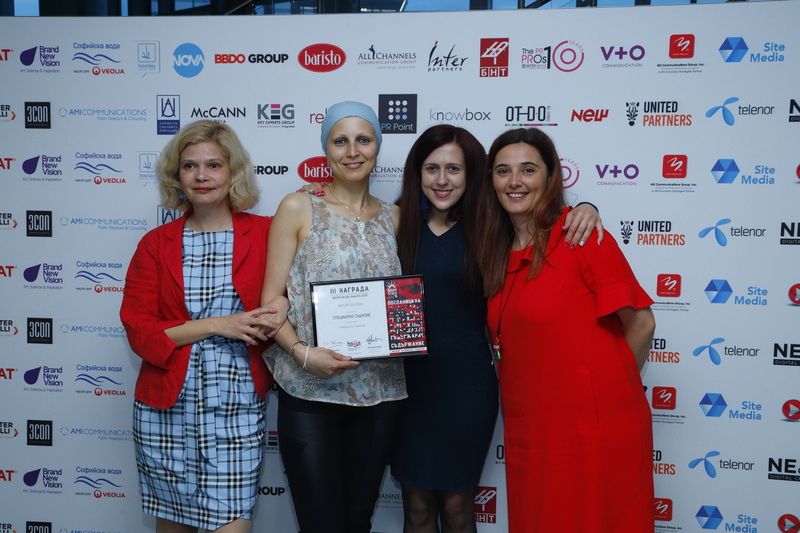 Intelday Solutions was also awarded at 2018 edition of BAPRA Bright Awards organized by Bulgarian Association of PR Agencies in the category Special event for the communication campaign Zimnina za sofiantsi. 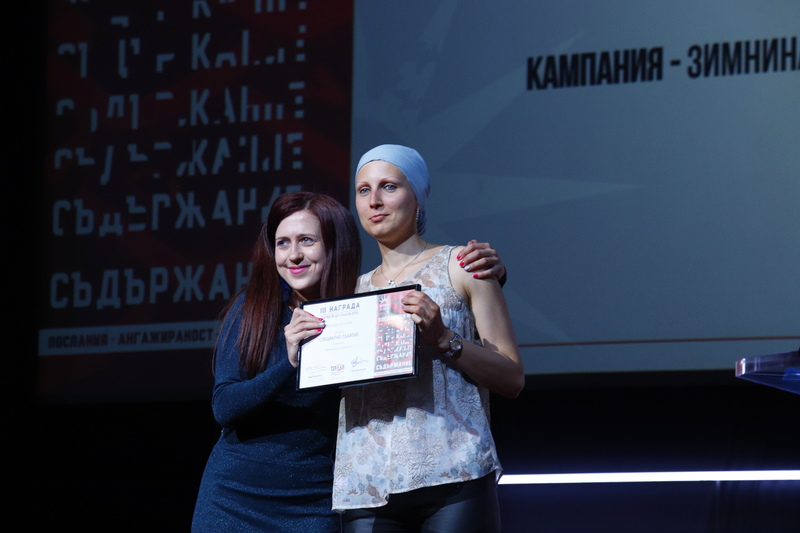 The jury of the two contests includes leading Bulgarian and international communication experts.